There's no substitute for racing. Race car development has always moved at a steady and swift pace. The best race cars become outdated, even though they might look like 200-mph machines while sitting still in the pits. Such was the case with the GTP Corvette. 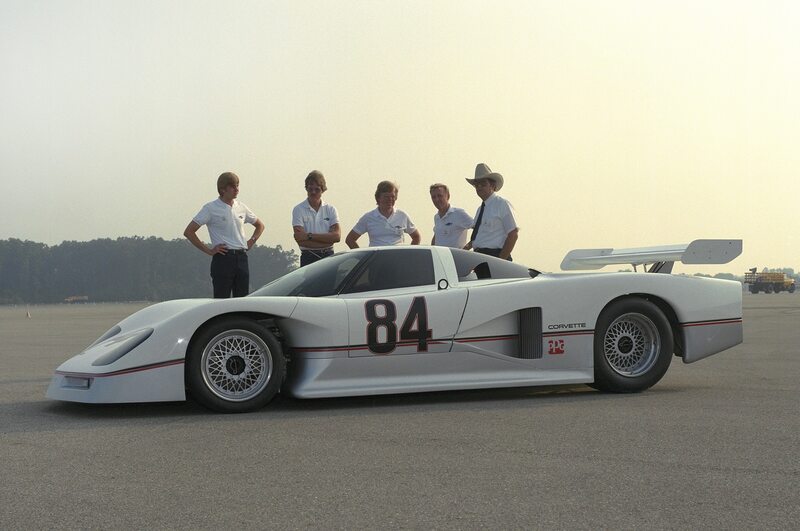 During the mid-to-late ’80s, it was the hottest-looking and often the best qualifying car in the GTP series. But under its swoopy skin was an outdated chassis. In the early ’80s, Chevrolet wanted to promote its V-6 racing engine, so they installed one in a Lola T-600 car raced by Ted Fields’ Interscope team. The turbocharged Lola was a real rocket and showed serious promise. Chevrolet wanted some of this action, but the Lola didn’t look anything like a Chevy. Needing brand identity, the Chevrolet styling group had stylist Randy Whitten design a new front end that looked like the new C4 Corvette, but kept the rest of the Lola’s aerodynamics. A fullsize rolling car was shown in mid-1983 and got a lot of interest. Two Lola- commissioned cars were completed in March 1984, but sat dormant for a year until Hendrick Motorsports and GM’s Goodwrench signed on as sponsors in 1985. 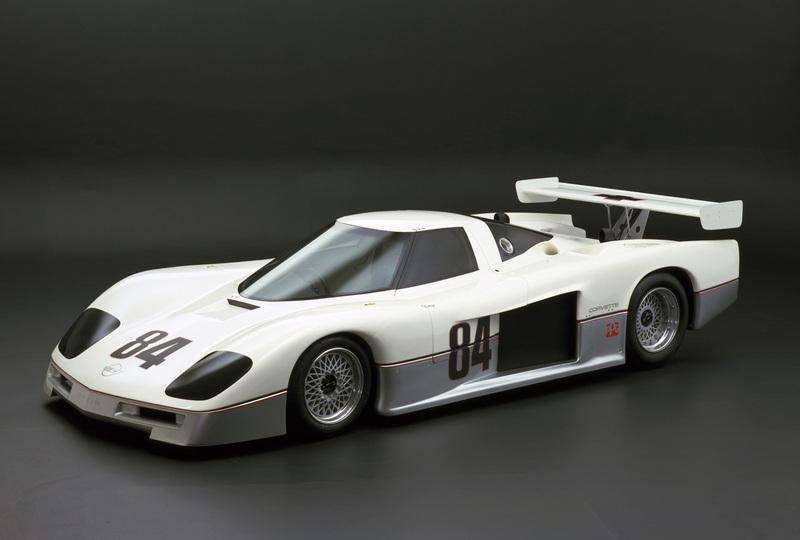 All told, seven Lola cars were built as GTP Corvettes. In four seasons the cars won two races and took seven pole positions. They were extremely fast and competitive as long as they didn’t break. The car’s basic structure was originally designed in the late ’70s for engines producing around 600 hp. The turbocharged V-6 Chevy engine made 900 hp in the 1,950-pound car! Consequently, everything was constantly being updated. Aside from the brutish engine that the drivers loved, there was nothing extraordinary about the car. The rear suspension used a standard Indy-type, pushrod shock system attached to the gearbox,and the front suspension was mounted to the monocoque Kevlar and aluminum honeycomb chassis. In 1987, one of the cars was fitted with an active suspension setup from a Lotus Grand Prix car. In general, cooling was always a problem and contributed to one of the cars completely burning to the ground in 1988. The GTP Corvette was awesomely fast, and very expensive. 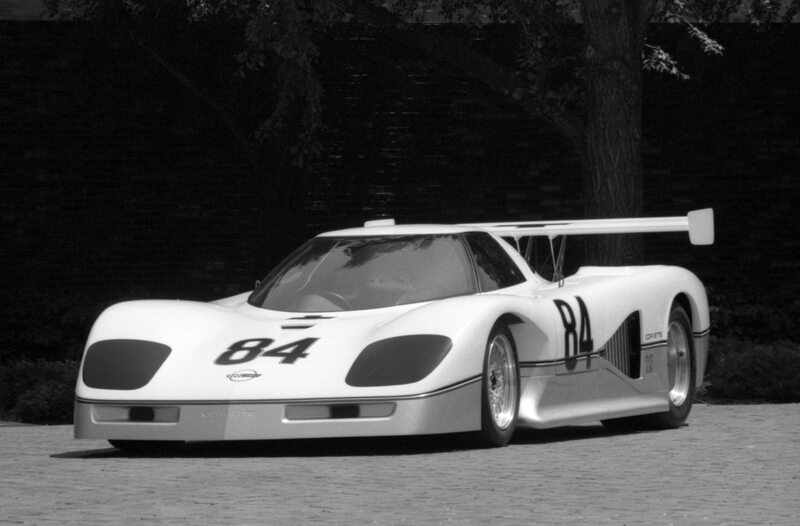 The Corvette GTP story was not unlike the SS Corvette and the Grand Sport. On paper, the car looked like it should have been a solid winner, but it lacked the support and development time to really shine. The Corvette GTP was kind of an odd duck in the sense that the car’s basic structure (like that of the 1963 Grand Sport) was outdated almost from its beginning. Simply adding more power can get more pole positions and speed records, but then the cars tend to become ticking time bombs, just waiting to let go. There is simply no substitute for nonstop development work. When a racing effort such as this is an on-and-off enterprise, it’s hard to develop a following. There was also the issue of brand disconnect. 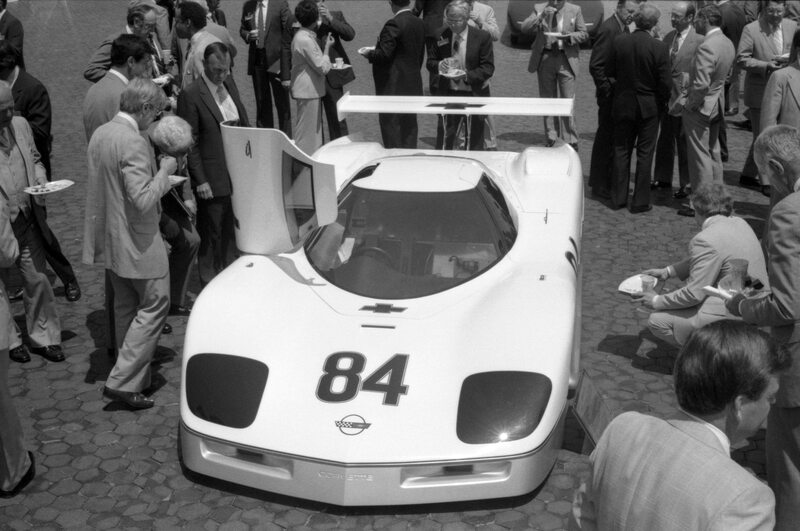 Although the GTP’s front end was designed by Chevrolet stylist Randy Whitten and the engines came from Chevrolet R&D, there was zero Corvette production content in any of the GTP Corvettes. A racing class such as Showroom Stock tells fans, “Your Corvette isn’t much different from this champion Corvette race car!” While the C5R, C6.R and C7.R racing Corvettes are a long way from stock, their basic structures were built in the Bowling Green assembly plant and that makes them “real” Corvettes. 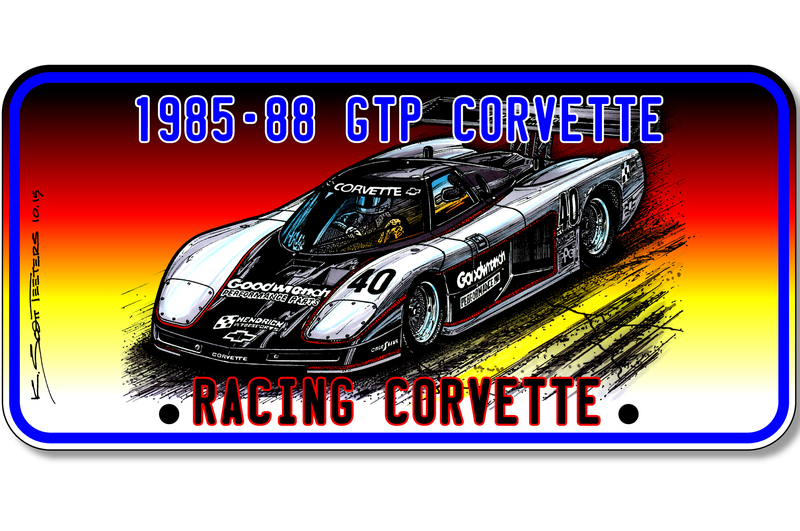 Chevrolet concluded their Corvette GTP program at the end of the 1988 season. Hendrick Motorsport did not return to the series, but Peerless Racing soldiered on in 1989 and a series of mishaps had them finishing only one race, a Fourth place finish at Watkins Glen. The GTP Corvette’s last gasp was in 1990 when the Peerless Racing car was fielded by Eagle Performance to race at Le Mans. Using an experimental 10.2-liter (622.44 cid), 4-cam, 32-valve big-block Chevy engine (the engine alone is probably an interesting story! ); electrical problems during qualifying kept the car out of the race, and marked the end of the GTP Corvette experience. Through the ’90s Corvettes on the racetrack was strictly a privateer enterprise. Racing fever inside Chevrolet didn’t start again until after it was obvious how good the basic structure of the C5 was and the C5R was created, which turned out to be the most successful Corvette racing operation ever. Chevrolet wouldn’t return to prototype racing until 2012 with the Corvette Daytona Prototype. This story originally appeared in Super Chevy.